MOSCOW (Sputnik) - Russia will continue its fight against terrorism, including within Syrian territory, if it is necessary, Russian President Vladimir Putin said Monday. "You mentioned Syria. … There is no need for such a widespread use of the Russian armed forces in Syria, as it was before, although we have two stationing sites, and we, of course, will continue the fight against terrorism, including in the territory of Syria, if necessary we will work there selectively," Putin said at the meeting with the chairpersons of the Russian Federal Assembly's chambers. The president reiterated that even if the Russian armed forces continues anti-terrorism activities in Syria, the scale of its engagement would be much smaller than before. "But, I repeat, not as it was before, with such a wide use of all components of our armed forces. That is why the withdrawal took place, since so much equipment and personnel are no longer required there. At least not required now," Putin said. On December 11, Russian President Vladimir Putin ordered the withdrawal of Russian troops from Syria after conducting an anti-terrorist aerial campaign for over two years. The decision on the pullout came after Putin announced the complete destruction of Daesh jihadists along both banks of the Euphrates River, stressing that the Syrian and Russian operation in the area ended with the complete "routing of the terrorists." While speaking about Afghanistan, the Russian president said that the situation in the country had deteriorated after US troops withdrew from the region, adding that "though Russia had complicated relations with the US, we should regard the situation in Afghanistan objectively." "Now, going back to what [Russian lower house speaker] Vyacheslav Viktorovich [Volodin] said about the terrorist threat, in particular, coming from Afghanistan. 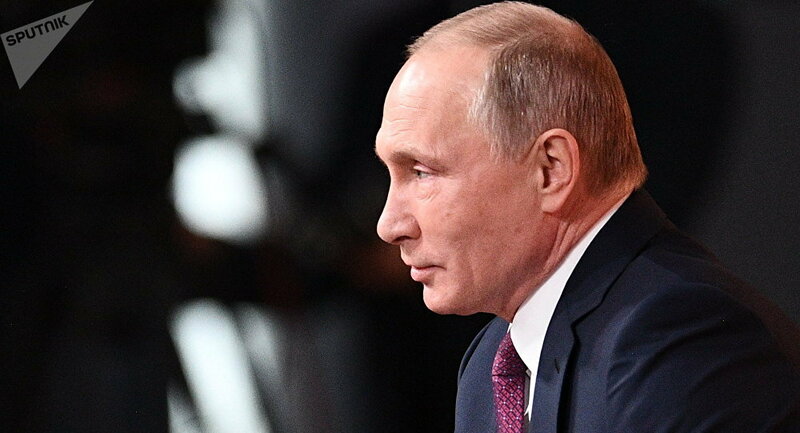 … Yes, the situation has deteriorated, it really has got worse, it is true, and it continues to worsen, but if the United States had not been there, it would have been much worse," Putin said. The US invaded Afghanistan in 2001, following the 9/11 terror attacks and has maintained a troop presence in the Central Asian nation ever since. Former US President Barack Obama supported the idea of the full withdrawal of US troops from Afghanistan by the end of his term in office in 2016. However, on August 21, current US President Donald Trump announced a new strategy for Afghanistan, in which he vowed to continue US support for the Afghan government in their fight against Islamic extremists and to expand the rights of US troops to target terrorists in the country.